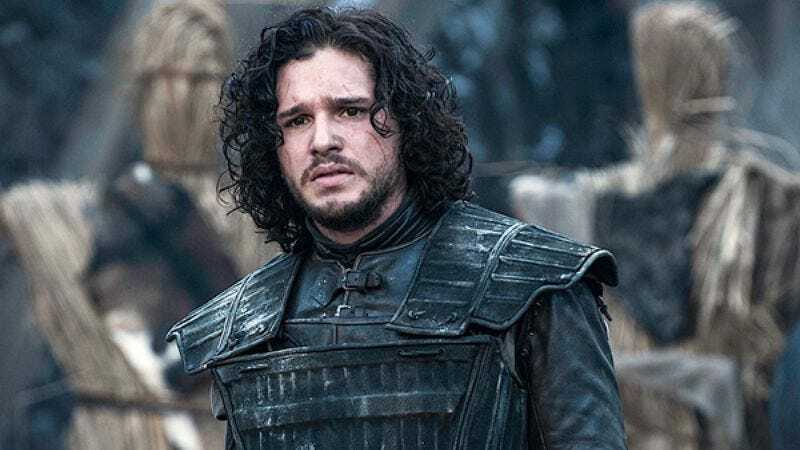 Kit Harington has made a name for himself by portraying a brooding ideologue from the northern country who dressed in black and was [spoiler alert, we suppose, although this was a couple seasons back -ed] executed for acts of treason on a fantasy drama series for HBO. It’s now looking like he’s going to play against type and portray a brooding ideologue from the northern country who dressed in black and was executed for acts of treason on a historical drama series for the BBC. The Game Of Thrones star is in talks to take the lead role in a three-part miniseries based on British seditionist Guy Fawkes and the failed Gunpowder Plot of 1605, Deadline reports. The 29-year-old actor—born Christopher Catesby Harington—is apparently a descendent of Robert Catesby, the leader of the revolutionary group of which Fawkes was a member, which sought to blow up the House Of Lords, kill the Protestant King James I, and restore a Catholic monarch to the throne. Harrington was at one point working on a screenplay based on the incident, but there’s no word on the degree to which that script relates to this project.